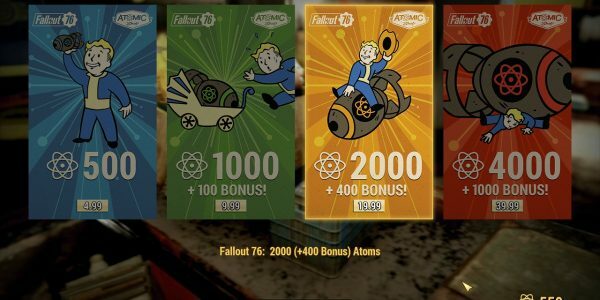 Atoms are another currency you will find in Fallout 76 besides Caps. The different thing is that you can’t purchase items from vendors with using Atoms, as you can do with Caps. 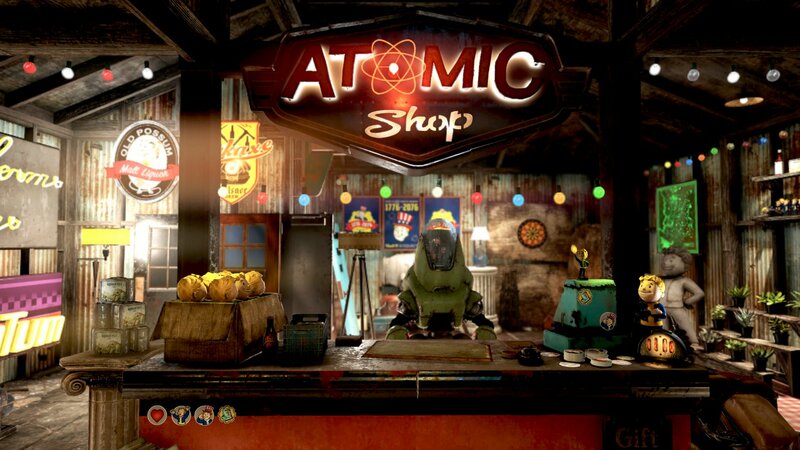 Atoms are specifically used to purchase any cosmetic gear from the game’s Atomic Shop. So, here we’re about to discuss how to get Atoms easily and what you can do with them. How to get Atoms in Fallout 76? 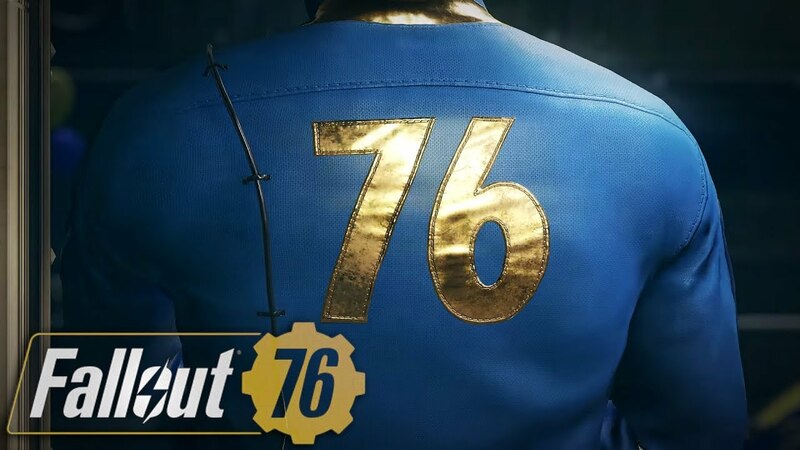 You will be rewarded by Atoms in Fallout 76 for doing a large variety of activities. From collecting caps, to simply emerging from the vault at the start of the game. However, there are essentially two ways to get Atoms in Fallout 76 and let’s detail them one by one. 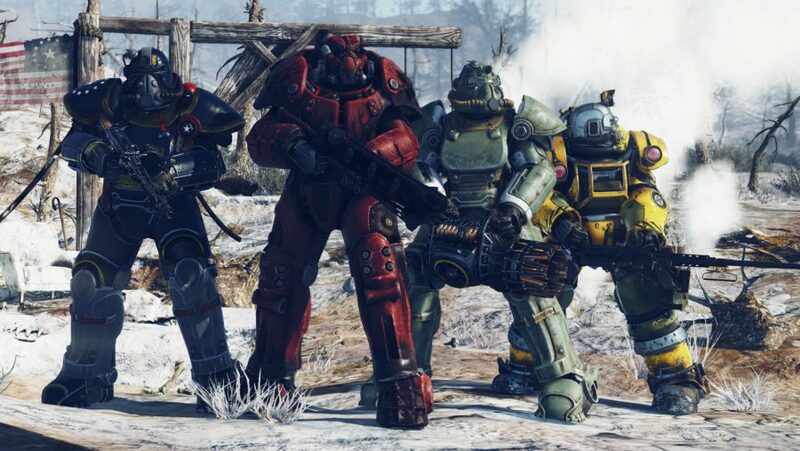 Love them or hate them, Fallout 76 has feature microtransactions. You can buy Atoms with money then used them to buy awesome in-game cosmetic items. Whether or not the price is worth it entirely depends on you. Admit it, sometimes you will feel hesitate to spend cash for purchasing items in the game. Well then, this is the easiest and efficient way for you to get Atoms for free. By completing some challenges, you will be rewarded with Atoms. 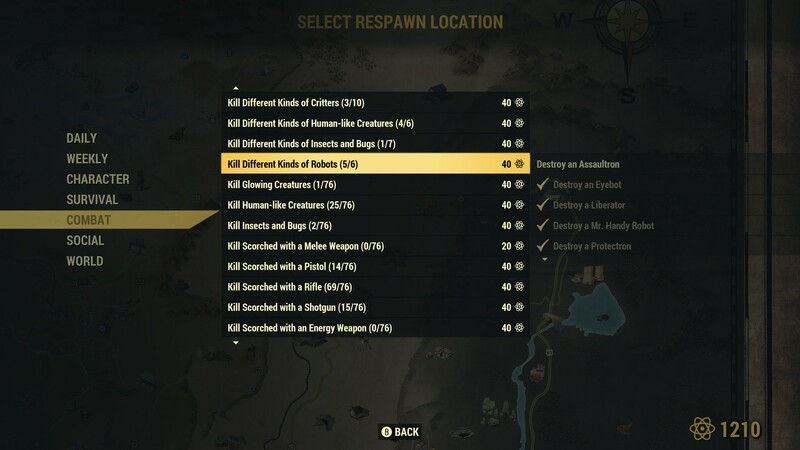 Below you can see the list of default challenges you can complete to earn Atoms in Fallout 76. So, if you think that your pocket has filled with enough Atoms, then you can spend them with visiting the Atomic Shop and buy any stuff you want from there. All you need to do is click start to head to the map, then hit L1/LB to open the main menu. You will see one of the options is the Atomic Shop, select this and you will be able to buy some new cosmetic items. Have a great adventure in hunting Atoms!